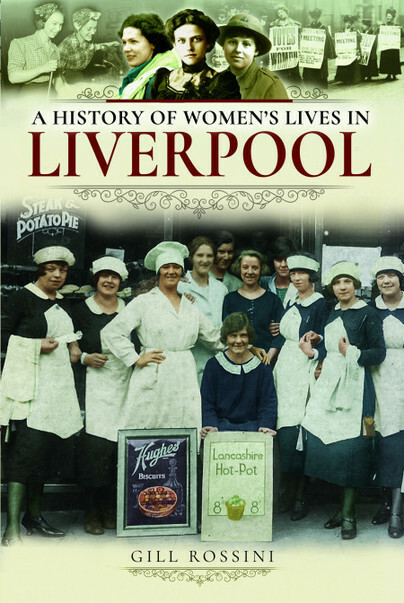 You'll be £10.39 closer to your next £10.00 credit when you purchase A History of Women's Lives in Liverpool. What's this? The story of Liverpool’s women is one of diversity and contrast. This iconic port has welcomed countless nationalities over the centuries, both as residents and passing migrants; it has experienced both great prosperity, and crushing poverty. Liverpool’s women have lived in unhealthy court dwellings, and comfortable suburbs; helped each other, educated each other, and stood together against common adversaries such as poor living conditions, and enemies in wartime; they have lived, loved, worked, fought, laughed, wept, worshipped, and survived in their own unique way. Containing rarely seen illustrations, this book will take you on an adventure through 100 years of Liverpool’s history, with a focus on its courageous, hospitable, caring, intelligent and adventurous women. In this honest account, you will meet women from all walks of life, be they politician, home maker, impoverished migrant, the ladies from the ‘big house’, preacher at a chapel, teacher, prostitute, activist, prisoner, and more. Some of them you may have heard of, such as ‘Battling Bessie’ Braddock MP, suffragette Jeannie Mole; many are the forgotten women of history you will encounter for the first time. All of them in their own way make up the kaleidoscope of women’s history in this great city.